southsound wrote: And I can assure you that ooma does not have a special forces team hacking the Google servers. I dunno, that character in the avatar above with the mask on looks mighty suspicious to me... 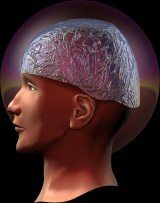 I may have to get the foil hat back out. . Sorry - couldn't resist - now back to your regularly scheduled programming. 1) You pick up your cell phone. 2) You call you Ooma voice number. 4) Important to note is that I am a core subscriber, have never utilized any form of call forwarding ( I simply cannot), and most importantly have NEVER provided these numbers to Ooma as contact numbers etc.. Follow? Umkay greeeeat. The responses cracked me up but C'mon now...Something is not right. It's cool though, like you guys are suggesting it is absurd to think that corporate america would attempt something like this (or push a revenue generating product like Premier)...What's next...we throw our trash out and someone uses the info to steal our identity or maybe worse, our information is sold to companies for mass marking purposes... Hey waita minute that actually happens now! Wake up it's 2010...I have worked in worked in IT for 20yrs now... It is possible. rpmsoftware wrote: Good stuff. The responses cracked me up but C'mon now...Something is not right. It's cool though, like you guys are suggesting it is absurd to think that corporate america would attempt something like this (or push a revenue generating product like Premier)...What's next...we throw our trash out and someone uses the info to steal our identity or maybe worse, our information is sold to companies for mass marking purposes... Hey waita minute that actually happens now! Wake up it's 2010...I have worked in worked in IT for 20yrs now... It is possible. Like yourself, I (or someone who resembles me on a parallel plane) have spent countless decoannums in the informational technology realm of psuedo existance. I have found great comfort and enlightenment in the writings of one Lyle Zapato. You can find his insightful work at http://zapatopi.net/ We have been the victim of so many conspiracies - through his writings I have found the truth about Belgium, Black Helicopters, Psychalking, The Republic of Cascadia, Tree Octopi, and MindGuard: Psychotronic mind-control protection for Amiga and Linux. I owe my very sanity to Lyle's insightful insights. rpmsoftware wrote: 4) Important to note is that I am a core subscriber, have never utilized any form of call forwarding ( I simply cannot), and most importantly have NEVER provided these numbers to Ooma as contact numbers etc.. Follow? Umkay greeeeat. Ooma already said the inadvertent multi-ring is a bug on their end. The only question then is where the Google Voice phone # came into the picture. One possibility was it was given a long while back for possibly some other purpose (SMS, call-forward on outage, etc. etc.) than multi-ring and now a bug caused it to be used in multi-ring. I don't think it is necessarily relevant if someone is on Ooma Core/Basic because everyone was given a trial-period of Ooma Premiere when they first signed up at which point they (or someone in their household) could have experimented with the features. Another possibility is somehow with limited Ooma information, your Google Voice # was "discovered" and added to multi-ring. Assuming the latter, why would it just happen to a few people. There are plenty others who have Google voice #s and it isn't happening to them. This would not be my default explanation for what is happening and it would require more information on how the Google Voice # was or could be retrieved to convince me. Same here. my premier trial expired today. now when people called me on ooma my cell phone was also ringing. like the other poster, when i picked up my cell it asked to press 1. How do i turn it off? kaho wrote: Same here. my premier trial expired today. now when people called me on ooma my cell phone was also ringing. like the other poster, when i picked up my cell it asked to press 1. How do i turn it off? You will have to call CS to have them fix your account. thank you guys for all the threads. I emailed ntoy last night. He emailed me back today. Everything was taken care of. Thanks ntoy for your quick response. An A+ for your service.